In 2001, while studying chimpanzees in the Taï National Park in Ivory Coast, Fabian Leendertz watched an alpha male named Leo vomit, climb up on a low branch, then topple over and die. 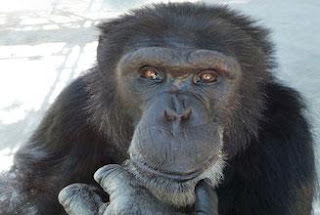 Leendertz thought the chimps had died of the familiar form of anthrax, caused by Bacillus anthracis. Five years later, Leendertz and his team showed that what killed the chimps was an unusual form of anthrax. Now, scientists present evidence that the microbe causing it, Bacillus cereus biovar anthracis, plays a huge role in the ecology of the rainforest, apparently causing a large proportion of all mammalian deaths. The Taï strain has acquired two plasmids, pXO1 and pXO2, possibly from Bacillus anthracis, encoding most of the genes that make anthrax such a formidable killer. Leendertz and his team examined samples from bones and carcasses from at least 20 different species, collected in the forest. They detected the pathogen in 81 of 204 carcasses and 26 of 75 bones. In addition to chimps, six monkey species, duikers, mongooses and a porcupine died of the disease. It appears to be responsible for about 40% of observed wildlife deaths. The killer strain is not limited to the Taï forest. Leendertz and others have linked wildlife deaths to Bacillus cereus in other Central African countries. Animals contract Bacillus anthracis when they inhale or swallow hardy spores released into the soil by cadavers. But Bacillus cereus in Taï may have a very different ecology and epidemiology. The researchers are looking at other possible sources. One candidate is carrion flies. Leendertz’s team found traces of Bacillus cereus DNA in 17 flies. If they help spread the disease, that might explain how some monkey species that only live in trees become infected. 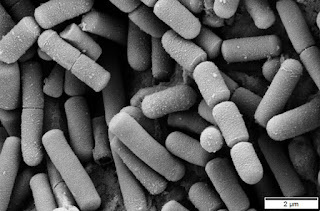 In humans, Bacillus cereus is responsible for foodborne illnesses, causing severe nausea, vomiting and diarrhea. Still, we mustn't forget those two plasmids, pXO1 and pXO2, it acquired in the rainforests of Ivory Coast. It's become a killer, very possibly even for humans.